Minor problems now can grow into global nightmares as automakers have cut quality efforts. Now 22 people are known to have died due to faulty Takata airbag inflators. Recalls will cost the industry more than $20B in 2017. An electrical defect that can prevent airbags from deploying in a crash forced Toyota to recall 645,000 vehicles worldwide this week. It’s the third big service action involving airbags in barely a month and sets the auto industry back on a dubious path, the possibility that 2018 could set another recall record, something that’s happened almost annually in recent years. As automakers have become more aggressive in addressing safety problems – driven by public demand and emboldened regulators – the impact taken a heavy toll on the industry’s collective bottom line, according to a new study by Detroit-based AlixPartners. The consultancy noted that 53.1 million vehicles, a full 20% of the U.S. car parc, were recalled in 2016, something it estimates cost the industry about $22 billion. And because automakers are making increased use of shared platforms and components, AlixPartners said in its study, recalls are “no longer an isolated geographic event, but a global (issue).” So, the U.S. figure represents only a fraction of the overall cost. The study looked at 2016, the latest year for which complete data is available, but recall records have been falling almost annually for a decade. 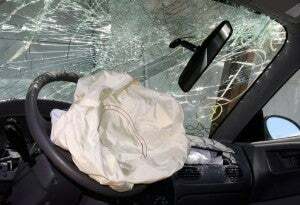 In some cases that represents especially egregious safety defects, notably the faulty airbags produced by Takata and installed in dozens of vehicles around the world. They have so far been blamed for 22 known deaths, the latest occurring in Malaysia, and hundreds of injuries. More than 50 million vehicles using the Takata airbags have so far been recalled in the U.S., about 23 million in 2016 alone, said the AlixPartner study. Other studies have pointed out that defects that once might have been limited to a few, or perhaps tens of thousands of vehicles, may now climb into the millions because of the use of shared componentry. That was the case with faulty General Motors ignition switches, a situation complicated by the automaker’s failure to act when the problem was initially discovered. On top of the actual recall costs, GM has spent more than $1 billion to compensate victims and survivors, much of that through a special compensation fund. Legal costs related to defects can spiral in such cases, and the overall bill facing Volkswagen has climbed to around $30 billion for Volkswagen which acknowledged rigging millions of vehicles equipped with two of its diesel engines. The figure includes substantial penalties and fines, however, along with the cost of recalling and repairing, as well as buying back many of the vehicles involved. Overall, the industry laid out approximately $11.8 billion in recall-related claims in 2016, and recorded another $10.3 billion in warranty accruals. While traditional mechanical problems traditionally have been behind most recalls, the AlixPartners study noted that, since 2013, issues caused by electronics or electrical issues have surged by about 30% annually, up from a yearly 5% growth rate from 2007 to 2013. “This is largely due to increased demand for sophisticated entertainment and safety systems by customers that rely on software and electrical components,” said a study summary. The Takata recall was notable not just for its size but the fact that the problem was laid on the doorstep of a supplier, rather than any of the automakers using its airbags. The frequency in which suppliers have taken blame for defects has doubled since 2013, while their share of recall costs has tripled, to around 20% in 2013. The Japanese airbag supplier was forced into bankruptcy last year as a result of its problems. While tighter regulatory scrutiny and less tolerance on the part of consumers is often credited for the rise in recall totals, the new study also points a finger back at the industry, blaming “a focus on sales volume and profit,” as well as a cut “in funding for quality functions.” AlixPartners estimated many companies have cut both spending and headcount in quality areas by as much as 30 to 50 percent since the industry emerged from the Great Recession. This entry was posted on Friday, February 2nd, 2018 at and is filed under Automakers, Automobiles, Business, Earnings, Markets, NAFTA, Recalls, Safety, U.S./North America. You can follow any responses to this entry through the RSS 2.0 feed. Both comments and pings are currently closed.